Garlic, affectionately known as "the stinking rose," is a member of the onion family that is native to central and southwestern Asia. Although the leaves and flowers of the plant are edible the real prize is the mature bulb, which is separated into multiple "cloves." 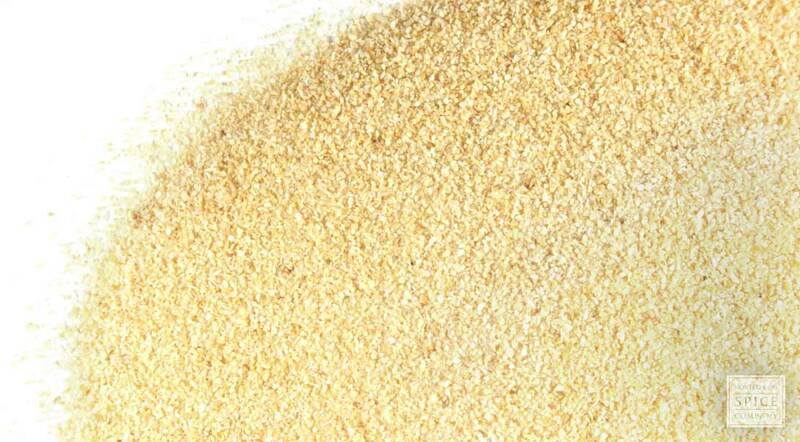 Granulated garlic is a convenient way to get full-bodied garlic flavor into soups, stews and other foods. appearance & aroma Small grains with a spicy-sweet fragrance. culinary Use in place of fresh garlic in cooked foods, salad dressings and culinary oils and vinegars. Use with ginger root in your favorite Asian recipes. 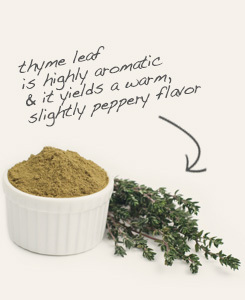 Combine with thyme in sauces, soups and stews. Spicy and pungent with a slight sweet element. 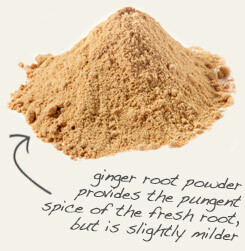 Combines well with many other pungent herbs and spices, such as onion, and ginger. Garlic is a bulbous flowering plant in the allium family, which includes onion and chives. A native to Asia, this herb is now widely cultivated through much of the world. With the exception of Alaska, garlic is grown in every state of the US. Gilroy, California, the self-proclaimed “Garlic Capital of the World,” boasts the highest production of garlic in the country and celebrates its notoriety with an annual garlic festival in July. Granulated garlic lends pungent flavor to foods when fresh garlic isn’t available with the advantage of having a much longer shelf life. Use it in salad dressings, marinades, grilling seasoning blends and in cooking just as you would fresh garlic.